Our younger son Alex loves these Brazilian Pao de Quiejo or Brazilian cheese bread. Even when he was a vegetarian, he loved going to the Brazilian Churrascaria for meals, only so he could eat the bread. I decided $40 a person was too much to pay for Brazilian Cheese bread. So we learned how to make Brazilian cheese bread at home. We’ve often used a ready-made Pao De Queijo bread mix from Amazon, but we also wanted to make them from scratch. It’s not difficult to learn how to make Brazilian Cheese Bread at home. The only speciality thing you need is Tapioca flour. 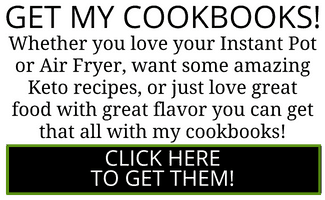 I got mine at the local grocery store, but you can also get it on Amazon or the Chicory app in the recipes below may help you buy it. And for some reason Roger decided to use an Instant Pot to make them in. He made the mix, and then he steamed them. After they were steamed, we broiled them to get them browned. But if you don’t have an oven, such as in a dorm room, an RV, while camping, or if you live in Texas where it’s 100F outside, you don’t have to brown them. Okay full disclosure. They don’t taste light and crunchy like the baked version. What they are however are chewy and they still taste the same. So would I make them like this if I had access to an oven? I might, just for a change. 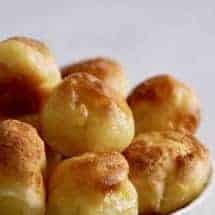 Below I’m going to tell you how to make Brazilian Cheese Bread or Brazilian Pao De Queijo in your Instant Pot or pressure cooker, as well as in your oven. This way you can decide how you’d like to fix them. Add tapioca flour and blend well. Steam PIP for 20 mins 5 mins NPR, and then broil. 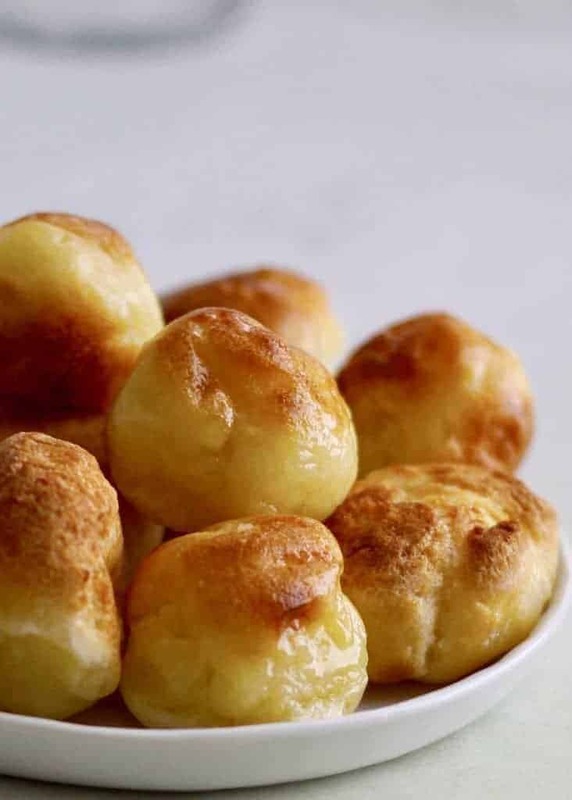 Instant Pot Pao de Quiejo shows you how to make the famous Brazilian cheese bread at home. 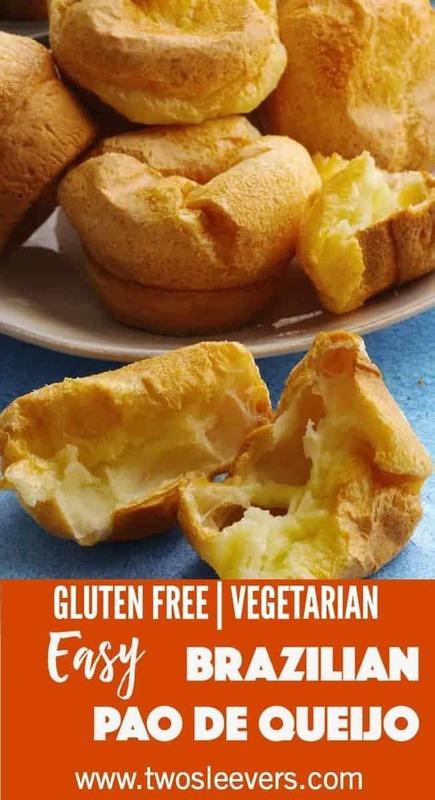 This gluten-free delight is steamed and then broiled. Just tapioca flour, milk, oil, eggs, and cheese make up this delightful bread. In a pot on the stovetop, boil milk, oil, and salt. Once it comes to a boil, add the tapioca flour, mixing vigorously with a wooden spoon. Once it is relatively mixed, allow the mixture to cool so you don't scramble the eggs as you add them to hot dough. 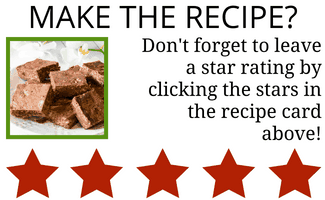 Place the dough in the bowl of a stand mixer or use a powerful hand-held mixer. Mix the dough well, and then add eggs and cheese. The dough will be unbelievably thick, heavy, and sticky at this point but this is what you want. Place 2 cups of water in the inner liner of your Instant Pot or pressure cooker. Place a steamer rack in the bottom of your liner. 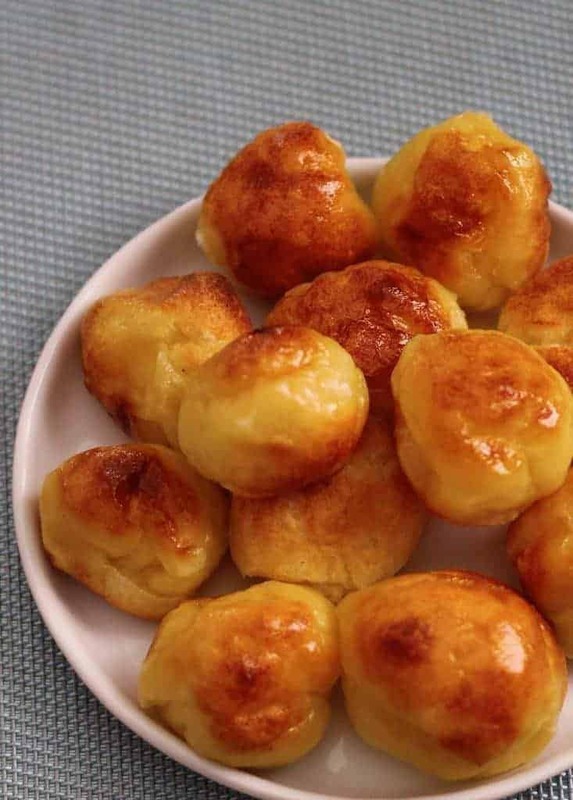 Place dough balls into 1-2 containers in a single layer and cover this with foil. Cook the dough for 20 minutes on High Pressure, allow it to release pressure naturally for 5 minutes, and then release all remaining pressure. Broil in a hot oven if you want browned tops. Bake for 20 mins or until the tops are lightly browned. We just made this, following the baking method. They tasted very good, but didn’t puff up airily like the picture (that’s why the 4 stars). They were baked through, but were dense. Any idea what happened? 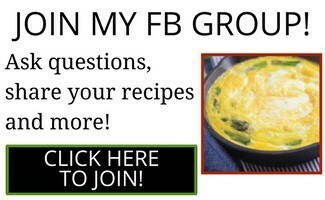 Love that you offer both cooking methods! I absolutely love my IP, but some things (think chiles rellenos), I just won’t change cooking methods for..
I’m with you. I didn’t think I’d like the steamed version but it was oddly good! But it’s a different dish then the baked one.